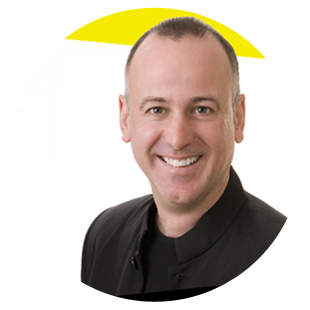 Engaged HR is pleased to welcome guest blogger and DisruptHR speaker Dave Whittington coach and facilitator with Calliope Learning. Dave’s blog outlines his talk “Crossing the HR Minefield” at DisruptHR 2.0 with the full length video available below. As we progress deeper into the 21st century, it is becoming increasingly clear that, in all walks of life, our challenges are becoming ever more complex. The world of work is less predictable, and more volatile and uncertain. Most organizational leaders now acknowledge that complexity is the greatest challenge they face. As we progress deeper into the 21st century, it is becoming increasingly clear that, in all walks of life, our challenges are becoming ever more complex. All too often, we tackle these complex challenges with tools and techniques that were developed in and for a time when life was more predictable. Complex challenges, such as employee engagement, industrial relations, and other strategic HR issues, are analogous to crossing a minefield. They defy planning, are ruthlessly unpredictable and can often lead to “analysis paralysis”. We need a new approach and some new tools. Design Thinking is an approach to innovative change that is proving to be effective in a wide range of contexts. Design thinking acknowledges the unpredictability of complex challenges and does not rely on analysis and planning. Instead, it relies on testing potential solutions, gathering feedback, and successive refinement. Rather like crossing a minefield, design thinkers test to see what is safe and gets us closer the goal, and they carefully navigate around anything that does not. Design thinkers do not confidently execute detailed plans, rather they experiment to see what works and what doesn’t. If something works, we do more of it, and if something doesn’t work, we shut it down. The important point here is that we do not know in advance what will work and what will not. It’s through trying things out that solutions to complex challenges emerge. In my work with clients, from public, private and not-for-profit sectors, this approach is resonating deeply and makes a great deal of common sense. It’s also a lot of fun. First, we need to adopt the mindset of a design thinker. We need to be curious and ask lots of questions. We need to be open-minded and look for potential solutions in surprising places. We need to be optimistic, because a certain amount of failure is inevitable, but there’s usually good learning to be had. We need to be collaborative and involve colleagues with a wide range of skills, experience and perspective. Most of all, we need to be empathetic and take time to get to know the people we are designing a solution for. Second, we need to adopt processes that are iterative and involve experimenting and gathering lots of rich feedback. We start with lots of ideas, from a wide range of perspectives, and slowly we narrow these down as we get closer to potential solutions. It is through testing our ideas and hearing back from our end-users that we slowly but surely navigate our way across the minefield and reach our goal of a desirable solution to a complex problem. Finally, we need to recognize that this approach might be counter-cultural. 20th century management science strongly suggested that, with the right tools, organizations and the people within them are predictable. For many, the predominant approach to organizational challenges is to analyse them, carefully plan a solution, and then roll it out. While our organizational cultures might support this more traditional approach, when challenges are complex, there’s a better way to cross the minefield. Learn more with Dave’s 5 minute DisruptHR Talk “Crossing the HR Minefield”. previous post: When is it Time to Bring in an HR Expert?